A coroner has many different roles, but one of Morgan County Coroner Jeff Lair’s roles is to lead what is called a Victim Impact Panel. 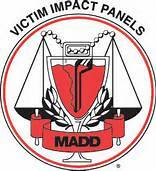 A Victim Impact Panel (or VIP) is a program that alcohol offenders attend usually as part of their probation. Offenders such as underage drinkers or those arrested from DUI are the ones who partake in the program. Lair helps lead these meetings, along with other volunteers, which are held quarterly. The panel presents a unique perspective that cannot always be taught by the court. The volunteers who speak are usually victims or survivors of drunk driving accidents or family members of ones who have passed on. It was originally started by Mothers Against Drunk Driving (MADD). “People don’t always realize that their actions can have major consequences and the VIP is there to really open their eyes. We are there to educate, not to lecture,” explains Lair. Stories are told and pictures are shown of horrific accidents that have been caused because of people who chose to drive after drinking. There are hopes the offenders will learn firsthand about the physical pain and anguished that DUI victims and their family’s experience. Evaluation forms are given to people after the program, and one thing that Lair says that people complained about the most was how small the screen was that they were showing pictures on. So with money from a fund that he receives from insurance companies and lawyers for different reasons and from cremation permits, Lair decided it would benefit them to purchase a new digital projection screen. It will be left in the courthouse so that others are able to get use of it along with a small stand that will hold the computer and digital projector. Lair feels that progress can be made and is being made. Attenders often come up to him afterwards to thank him for the work he is doing and that it really opens their eyes. VIP will continue to be an ongoing program to educate offenders to really think about what kinds of consequences and negative effects that alcohol can have on the body. .
Audrey Luna is currently the Assistant Manager for Family Video and also 2012 graduate of Western Illinois University. She received her degree in Fine Arts and Communication. Her husband, Nikko and her have been happily married for a year and a half.